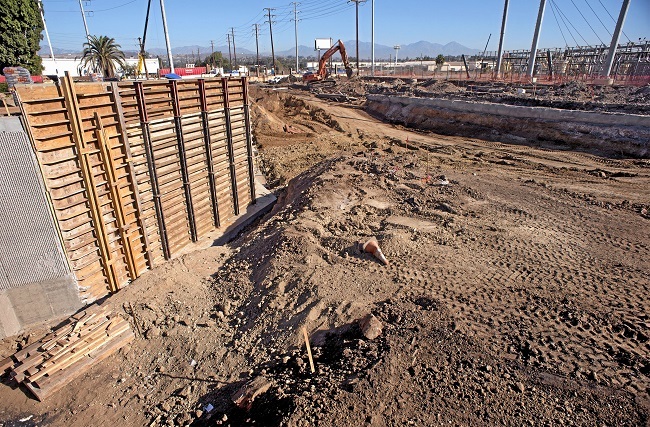 With construction nearing the halfway point on the Nogales Street railroad underpass, the Alameda Corridor East Construction Authority awarded a new construction contract this week for another underpass on nearby Fairway Avenue. But CEO Mark Christoffels was quick to note that Fairway won’t be closed until Nogales Street opens next spring. The head of ACE led a tour of the work on the Nogales Project. The $117 million project began in May of 2013. “We’ve done 45 percent of the work so far, right on schedule,” said senior project engineer Charles Tsang. Walnut has planned some fun events for Halloween. The Mostly Ghostly Halloween Celebration will be held 6 to 8:30 p.m. Oct. 31. The free event will include games, music and a costume contest. An After Halloween Lot Party will be held from 6:30 to 9:30 p.m. Nov. 1. For $8, continue celebrating the spooky fun with food, music and much more. Slasher Studios Haunted Maze will be featured 7-9 p.m. Oct. 31 and Nov. 1. Admission is $3 per body. Teens are invited to “Nightmare on La Puente,” 7 to 11 p.m. Oct. 31. The $5 fee includes admission to the Slasher Studios maze and games, music, food, contests and more. The events will be held at the Walnut Senior Center and its parking lot, 21215 La Puente Road, Walnut. “Newton Middle School Knights DO GOOD for the Hacienda Heights community! NMS students have a long history of high academic achievement but also of demonstrating a sense of pride and responsibility to their local community. It’s not uncommon to see middle school kids donning Newton Knights spirit shirts marching up and down the major boulevards picking up trash on weekends, combing through nearby beaches clearing litter, and hosting canned food and toy drives near the holidays to support underprivileged families and kids. This month, Newton has partnered with Goodwill Southern California to support the great work that the organization does to enhance the quality of life for individual with disabilities, U.S. Veterans, and local troubled youth by assisting them to become productive and self-sufficient through education, training, and job opportunities. To promote this important purpose, students have set the goal of filling 20 large bins with donated goods to be given to the Goodwill! Students will collect all kinds of items including artwork, bedspreads, CDs and DVDs, clothing, shoes, accessories, computers, cookware, small appliances, holiday decorations, sporting goods, and much more. The Hacienda Heights community can help by bringing donations to Newton Middle School between November 12th-November 15th. The last chance to make donations is Saturday, November 15th by 2:00 pm. 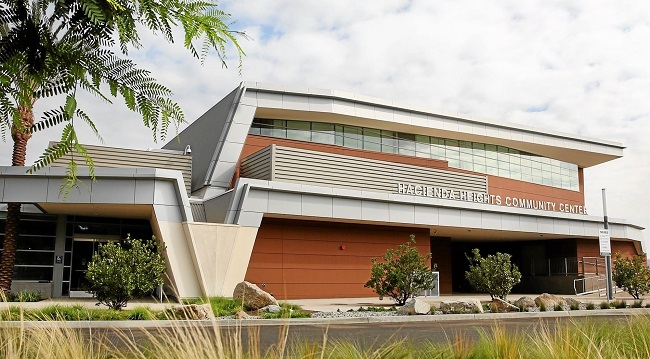 Hacienda Heights residents will celebrate the grand opening of the new $21 million community center with a week of special events and performances. The fun begins 11 a.m. Saturday with the dedication by Los Angeles County Supervisor Don Knabe and civic leaders. Residents will be able to tour the amazing center at 1234 Valencia Ave., just off Turnbull Canyon Road. Then Hacienda Height’s own Grammy Award winning Mariachi Divas will perform on the outdoor stage from noon to 2 p.m. Founder Cindy Shea lives just down the street. Residents will enjoy a free lunch from local Mexican, Hawaiian and pizza restaurants. Children will be entertained with many games and face painting. “It’ll be a great day for the community to come out and celebrate with us,” said the center’s new director Susan Brown with the Los Angeles County Department of Parks and Recreation. On Saturday night, a dinner dance will serve as the inaugural ball. The cost is $10 for an Italian dinner of pasta and salad. Couples 21 and older can then dance to a live band. On Sunday, everyone can kick up their heels at the big country Western barbecue and dance from 11 a.m. to 3 p.m.
“We’ll have activities for cowboys of all ages. Live entertainment by Del Rio, a mechanical bull, games and face painting,” Brown bragged. For $7, residents can enjoy a Western BBQ of chicken and ribs. Then they can work off the extra pounds by learning how to square dance and line dance in the center. On Monday, a community showcase will take to the new stage from 6 to 8 p.m. Brown said the center has scheduled the Ballet Folklorico and hula dancers, as well as a guitar class to perform. Trio Ellas will perform from 7 to 9 p.m. Tuesday. The three women combine traditional mariachi, romantic boleros, bluegrass and rock. Their Latin Pop album “Noches Angelinas” was nominated for a Grammy Award. The concert is free, but seating is limited in the 500-seat auditorium. Thank you, thank you very much. Elvis takes the stage in a tribute concert on Wednesday from 6:30 to 8:30 p.m. Tickets are only $5. Kids rule the night on Halloween. A free Halloween carnival will take over the lush grounds with lots of games and entertainment. But beware, maties! Pirates will battle on the outdoor stage at 6 p.m. The award winning pirate troupe specializes in action and comedy with sword fighting, pistols and breakaway bottles. Then families will move inside the auditorium to see Disney’s “Pirates of the Caribbean” until 9 p.m.
On Nov. 1, the Hacienda La Puente Unified School District moves into the community center for a district wide open house from 9 a.m. to 3 p.m. The local school district provided the land for the new community center. “The district is excited about the ongoing partnership we have with the county,” said School Superintendent Cindy Parulan-Colfer. She said the open house will feature performances by musical groups from many of the local schools. Each school will also have a booth. The weeklong celebration concludes that evening with a production by the STC Foundation and Dance Impressions. On Nov. 2, Uptempo Basketball Academy will be hosting a special fundraiser camp for one of its very own, Uptempo family members, Joey Covarrubias who is battling cancer. Joey Covarrubias received a basketball scholarship to Cal State Monterey Bay when a month before graduating high school he was diagnosed with the rare cancer Ewing Sarcoma. Since his diagnosis he has undergone surgery and one round of chemo. We truly hope to help lift him in this challenging time by offering a camp in his honor. There are two levels of camps being offered. High School Varsity Boys and Girls camp will be held Nov. 2 from 9 am to 12:30 pm at the Walnut Gymnasium, 21003 La Puente Road, Walnut. A Boys 7th to 9th grade and JV High School level camp will be held from 11 am to 2:30 pm at Walnut High School, 400 N. Pierre Road, Walnut. Registration for each camp is only $25 a person with 100% of the proceeds to benefit Joey Covarrubias and his family in their fight against Ewing Sarcoma. There will be a donation box on-site at both locations. To make a donation online and to read more on Joey’s story please visit www.gofundme.com/savingjoey. To register or for more information contact Coach Chris Encinas at (626) 512-3082. Ghost, Goblins, Ghouls, oh my! There is so much to do this Halloween in Walnut. On Friday, October 31, the Walnut Senior Center, located at 21215 La Puente Road, will be converted into a Haunted Maze while the parking lot will host the Annual Mostly Ghostly Halloween event. Mostly Ghostly is scheduled from 6:00 pm to 8:30 pm and is a perfect event for the entire family. With fun carnival games, a “touch of fright” maze and costume contest, your little ones will be filled with excitement. The Senior Center will then open its doors from 7:00 pm to 9:00 pm on Friday, October 31 and Saturday, November 1 for the chilliest thrill of your life. Walk through the “Slasher Studios Haunted Maze” movie sets and find out if you will make the final cut. Only $3 per body (may not be suitable for young children). Show your support for your local Walnut schools and athletic programs; Pony Baseball, Softball, AYSO, National Junior Basketball, Walnut Youth Basketball on any night and get two visits through the maze for the same low price. So let the countdown begin…10 days to Halloween and 11 to the coolest night in town. This year you are invited to Walnut’s After Halloween Lot Party on Saturday, November 1, from 6:30 pm to 9:30 pm. Join us for Live DJ, Food Trucks, Games, Movie Showing of Disney’s Hocus Pocus and a Live Performance from Team Millennia (ft. on ABDC season 2 & 3). Team Millennia will break off into groups and represent the local high schools of Walnut, Diamond Bar, Nogales and West Covina Dance Departments. A $300 prize (sponsored by “Happiness is Now”) will be awarded to the Dance Department of the school best represented. Come out and cheer on your school. Cost is only $5 pre-sale and $8 at the door (Admission includes a trip through the Haunted Maze). Mt SAC professor discusses Ebola epidemic today at 5:30 p.m.
Mt. San Antonio College on Monday will host an informational presentation on the Ebola virus, “The Emergence of an Epidemic,” at 5:30 p.m. Monday, at the campus’ Design Technology Center multimedia assembly hall, building 13, room 1700. This presentation is free and open to the public. Dr. Carmen E. Rexach, a Mt. SAC anatomy and physiology professor and expert on infectious diseases, will provide information on the Ebola virus and the consequences of the outbreak. Dr. Rexach received a degree in epidemiology with an emphasis on infectious diseases from the UC Davis School of Medicine. She is a member of the Infectious Diseases Society of America, the International Society of Infectious Diseases, the National Foundation for Infectious Diseases, the Anaerobe Society, the American Society for Microbiology, the American Academy of Clinical Anatomists, and the American Public Health Association. She has been a presenter at local, national, and international conferences on a variety of topics, including bioterrorism and clostridium difficile as a pathogen of children. Currently, her primary interests are in global health and infection control. New Hacienda Heights Community Center blends beauty with utility. The new Hacienda Heights Community Center is an amazing place. And its beauty isn’t just skin deep. The $21 million edifice has been designed to serve multiple uses. “That’s what I like best about the new community center, it can do so many things for so many different groups,” agreed Joe Mendoza, Los Angeles County Department of Parks and Recreation deputy director. The center sits on Turnbull Canyon Road. Hacienda La Puente Unified provided seven acres at the old Hillgrove Elementary School. She said the new community center will showcase many school events and performances, including the district’s big open house on Nov. 1. Next week, the spotlight will shine on what Mendoza calls “the granddaddy” of community centers. The 21,000 square-foot-center has its grand opening 11 a.m. Oct. 25. Los Angeles County Supervisor Don Knabe has been a longtime supporter of the project. Visitors will discover a visually stunning structure rising from lush landscaping. The three-story high auditorium pulls the eye up to the cantilevered roof front. Theater patrons will be impressed with the 6,400 square foot auditorium. Center Director Susan Brown demonstrated how the plush stadium seating automatically retracts into the back wall. Read more in Rich Irwin’s story CENTER. Valerie Lu served up Hawaiian-style food. Shown with Luke, Monica Y., Caden, and Joyce N.
Hundreds of Westhoff Elementary families and friends enjoyed foods from around the world during a Culture Fair held Oct. 10. Fifteen different countries were represented at decorated booths with music, customs, and lots of delicious authentic food. Students wore traditional clothing to parade around the school while a DJ offered music for dining and dancing. “This is one of my favorite nights of our school year. Everyone relaxes during the cool evening, eats delicious food, and chats with other Westhoff families,” said Principal Denise Rendon. The school’s Community Club hosts the fair where parents, students, and teachers come together to celebrate diversity of the many cultures represented at the school. “It is an opportunity for our children to learn about their friends’ customs and share about their own, ” said President Melinda Powell. “I like going to Culture Fair because I get to play with all my friends. My dad likes to take me because he really likes the food, “ said 2nd grader Tiffany Fu. 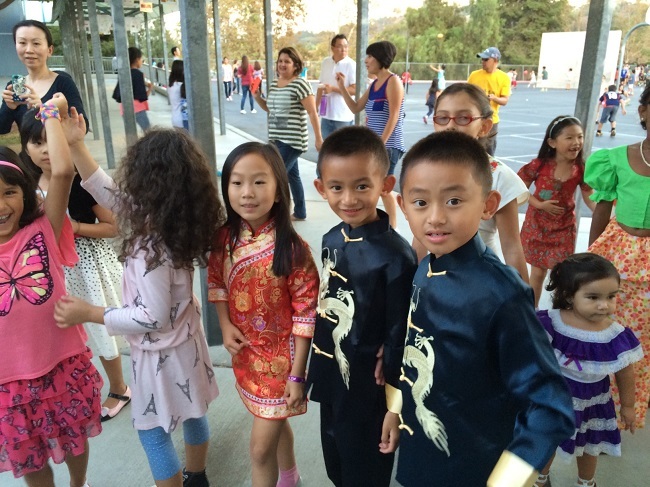 Westhoff Elementary hosted its annual Culture Fair with traditional costumes. “I dressed up in my Indian Clothes. I like eating other cultures food, but my favorite was my families’ table of Indian food, ” added Priya Kankanala, a 3rdgrader. 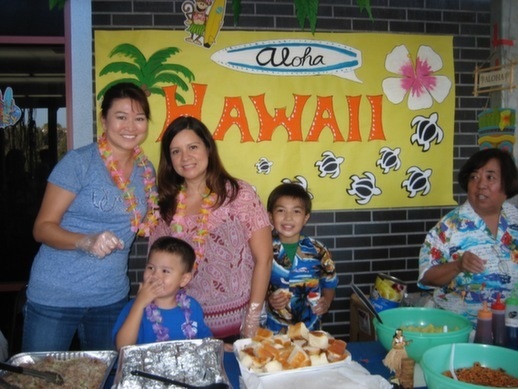 Parent Valerie Lu hosted a Hawaiian booth that was a big hit with Kalua pork, spam musubi, haupia, and of course shaved ice. “Culture Fair is such a unique tradition at Westhoff. The amount of effort put in by all the parent volunteers is tremendous and just as rewarding,” she said. Community Club member Lu serves as the school’s Coordinating Council representative. There were many delicious dishes from around the world with pad Thai and pineapple fried rice (Thailand), cream puffs (France), tamales (Mexico), stuffed grape leaves (Egypt), chili and cornbread (USA), and more. Parent volunteers at the China table served foods representing its many different regions including Hunan, Sichuan, and Shandong. Along with sampling tasty treats at the Pakistan booth, the kids came away decorated with beautiful henna designs. “It’s such a wonderful opportunity to get to meet the families of our children’s new friends, catch up with old friends, all while enjoying amazing authentic food!” Powell said.